Treat yourself or give as a gift to someone special with Boelter Brands Coral Cool Six Cooler. 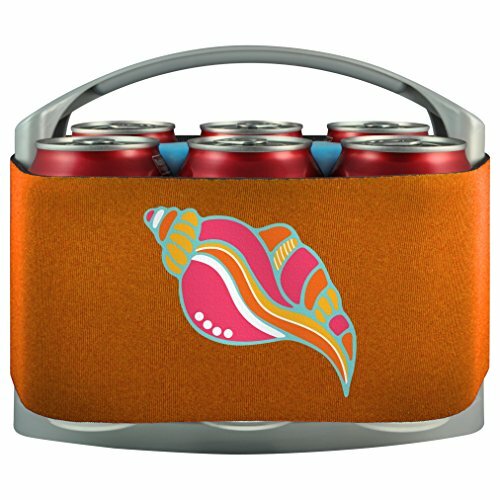 Each cool six cooler holds up to six 12-ounce to 25-ounce soda cans or water bottles with its decorative, flexible neoprene sleeve that features a beautiful coral design with pink and orange hues that will make you feel like you are in a tropical oasis and you’ll have a smile on your face every time you use it. It is very easy to use with the removable freezer pack. Simply insert the cooler and load with drinks which is ideal for parties and picnics. It keeps drinks cool for up to 6 hours and is the perfect way to add some color and style for your next gathering with family and friends.